Heat is one of the greatest enemies of a desktop computer. 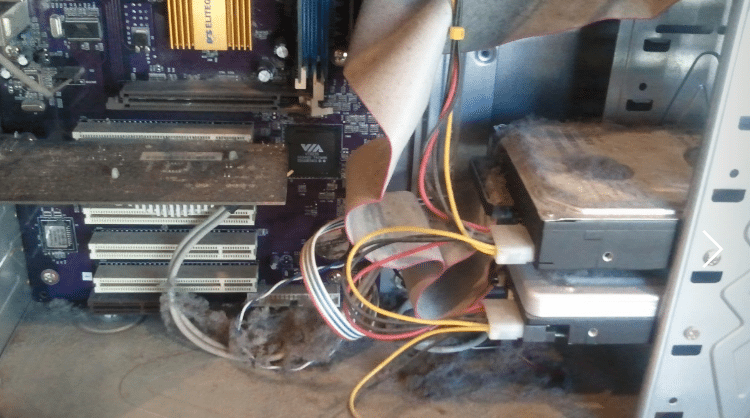 Dust that accumulates over time within a PC not only heats up the electronics but can also clinch the fans with devastating effects on our hardware. 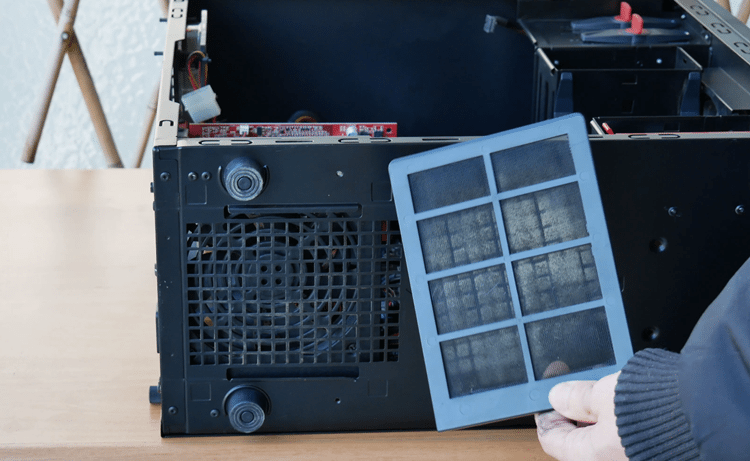 Below we describe how to remove the dust from a computer to avoid all those problems, safe and easy, with the help of a budget small blower. The longest we use a computer, the more dust will accumulate inside. If the computer is laying on the floor, things are even worse. In case we occasionally smoke in the same room, we have a severe problem. The exhaled smoke contains oils. These oils are mixed with the dust inside a room, making it stick wherever it sits. 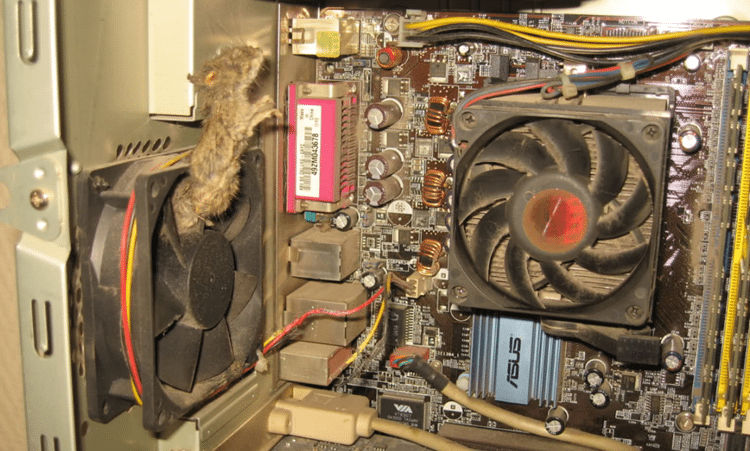 If we have a pet in the house, it is certain that we will also find hair inside our PC case. If we don’t own a pet, and we’ve never cleaned our computer for years, sooner or later we will end up getting one - or more. Perhaps they are the six-legged insects we all hate. In some cases, they may weight more than a tennis ball. 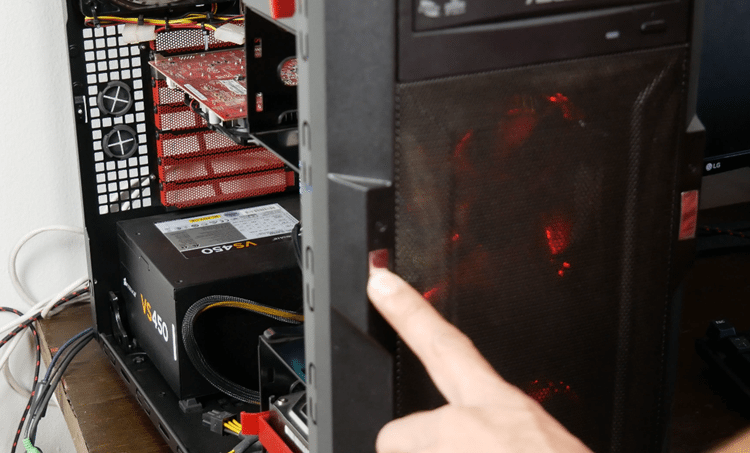 The high-end PC cases usually are equipped with dust filters in front of the fans. These filters certainly prevent a lot of dust from entering the case. However, we need to remove the dust from the inside at least once a year. And of course, we also need to clean the filters so they won’t get cluttered. 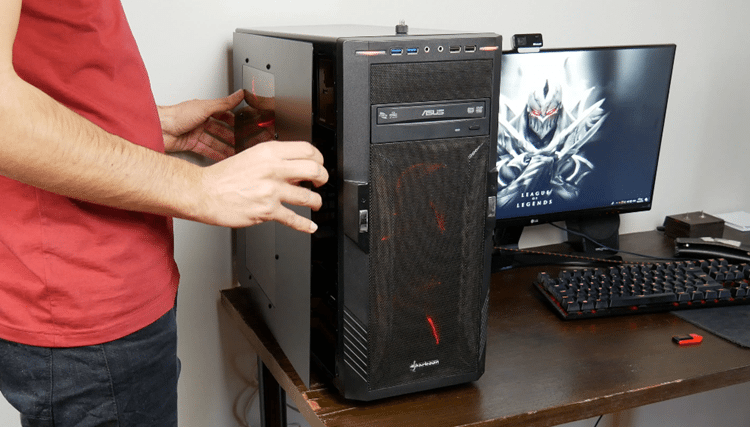 Ideally, we should clean our PC case twice a year. If we could do it even more frequently, it wouldn’t hurt. They only tool we’ll need to remove the dust from our computer is a small electric blower. We could also use compressed air cans, but we will probably need more than two or three canisters to remove all the dust. And since they cost around 2-3$, they are not worth buying. A simple, economic blower will cost about $30 - maybe less if we find some good offer - and will most likely last for a lifetime. 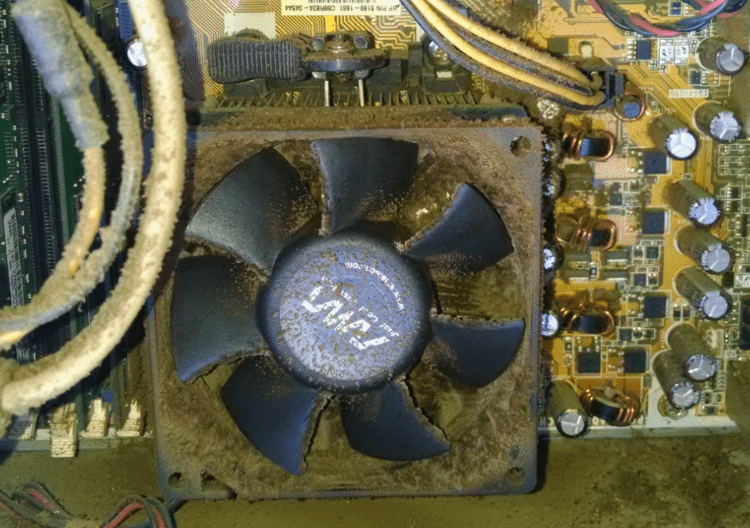 Whatever you do, don’t use your vacuum cleaner to remove the dust from your computer. The vacuum is likely to generate static electricity. And we all know what static electricity can do to a computer. Also, do not attempt to blow the dust with a hairdryer, not even with cold air. 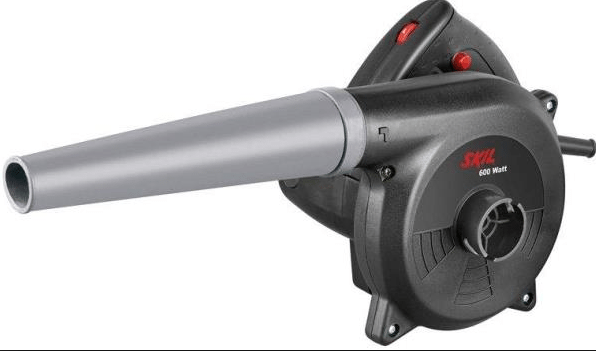 The hairdryer doesn’t have enough power to blow the dust, compared to a blower. And if you switch it to hot-air, do you need us to tell you that it is the worst idea in the world? 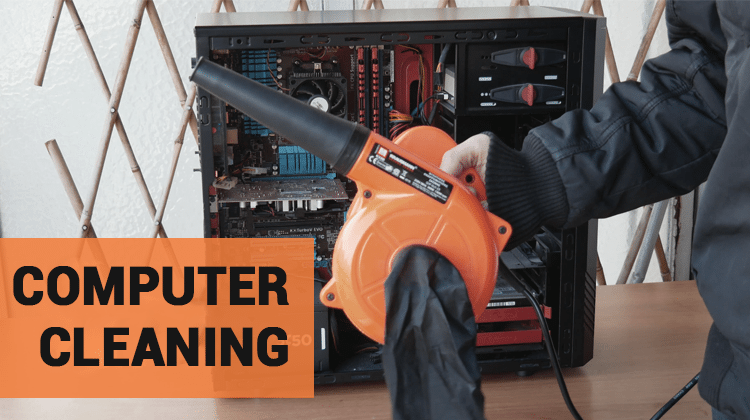 Once we have our blower ready, we can start cleaning our computer. First of all, we need to shut down the computer completely. It is also advisable to turn off the power supply’s switch. Then, press the power button for a few seconds to empty the capacitors from any residue, and remove all cables from the back. As you may suspect, the cleaning can’t take place inside our house. If we did that, we wouldn’t get rid of the dust. Not only we would breathe it, but also it would go back in our computer. What’s the point of that? So, we should carefully move the box outside, on our balcony or our backyard. The last thing we have to do is to remove the side panel. 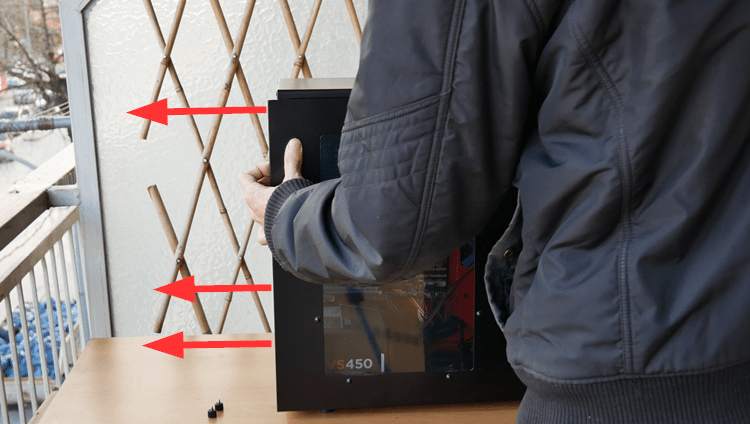 The majority of PC cases have two screws at the back to hold the panel. By removing them, we can pull it backward and release it. It is possible, of course, that your case opens differently. Feel free to check the manual for your situation, before trying to remove the panel. With the box outdoors and the blower in our hand, we can finally remove the dust from our computer. When we blow air on our fans, we should hold them with our fingers to prevent them from rotating. Some fans may crack if they turn too fast. This rule also applies to the processor’s fan and the graphics card. After we finish the inside, we can remove the filters - if available - and clean them as well. 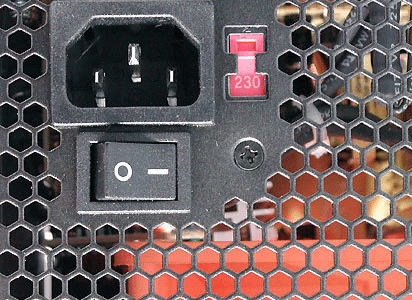 Typically, there will also be a filter at the bottom of our PC case, which prevents the dust from entering the power supply. We need to clean this filter too. We can also blow the outside of the power supply. However, we should never remove its fan to clean it. 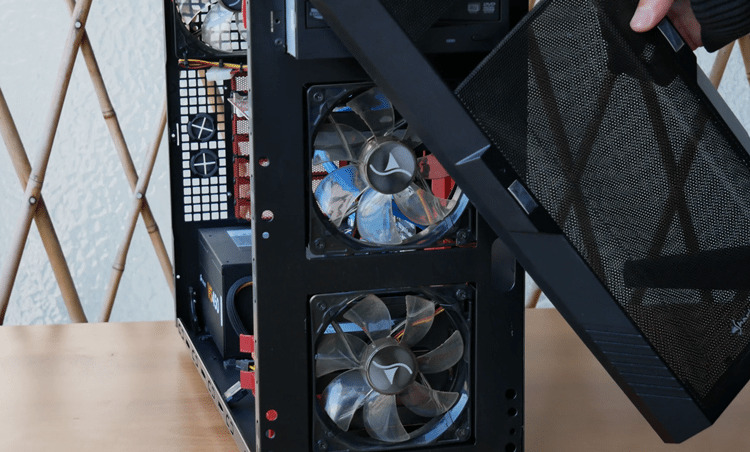 As we mentioned in the beginning, smoke makes the dust stick to our case, especially on the fans. The blower won’t be enough to remove the dust in such a case. 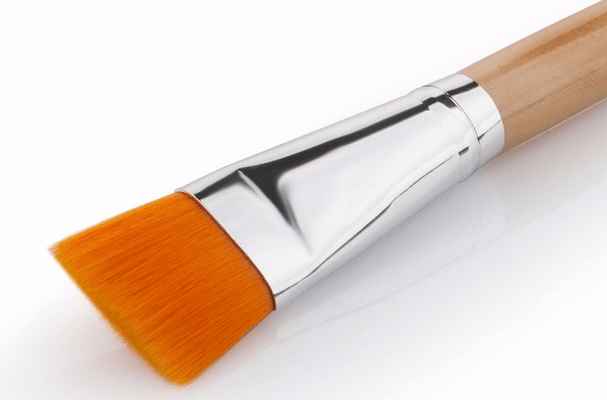 Thus, we’ll need to use a fine brush to clean the fans. 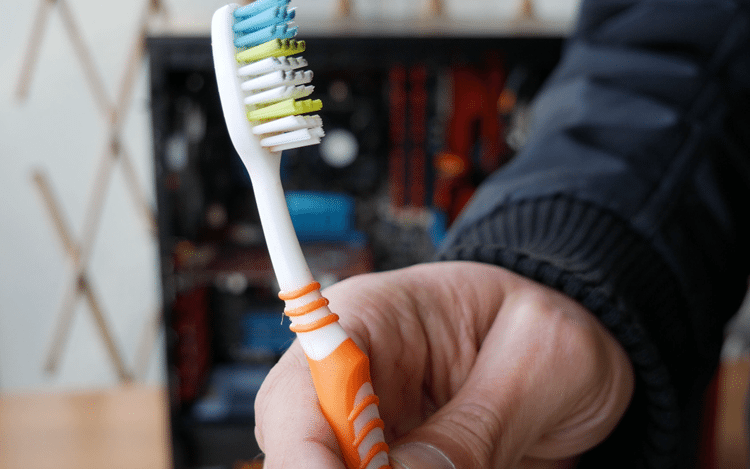 If we don’t have a brush, an old toothpaste will do the trick. Of course, we can’t use water or any other liquids here. And obviously, no toothpaste either. Between our processor and the heat sink, there is a very thin layer of thermal paste, to prevent the heat from being trapped between the two metal surfaces. After a few years, the paste will dry, and we’ll have to apply it again. However, we don’t have to do this process every time we clean the computer - unless we do once in five years. In a future guide, we will discuss how we can new apply thermal paste to the processor, as well as which method is the best. 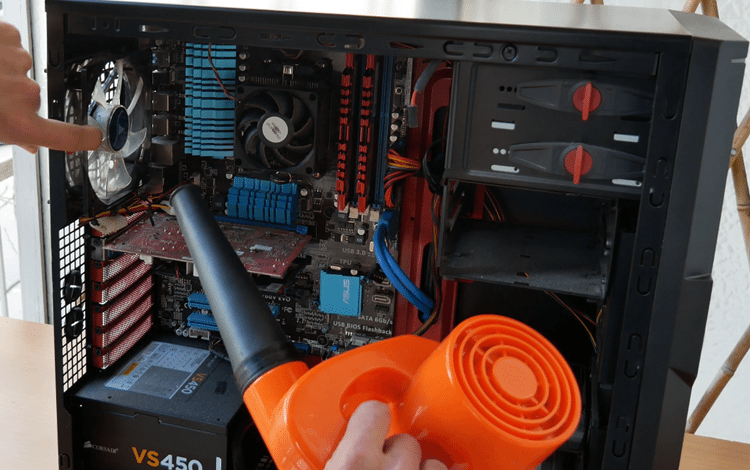 Once we remove the dust from the fans, our computer is clean and ready to go back inside. Before we close the side panel, we have to check if everything went well, and we didn’t move any cables, memory modules, and so on. To do this, we can connect the power cord, the display cable, and the keyboard. We don’t need any other peripherals to do this test. Then, we turn the power supply back on and press the power button. We don’t have to wait until we log into Windows, as long as we hear the beep and we see any signal on our screen. If our computer doesn’t seem to open, we make sure to press the graphics card, the RAM modules, and the motherboard’s cables back into place. We also check that our computer is plugged in. 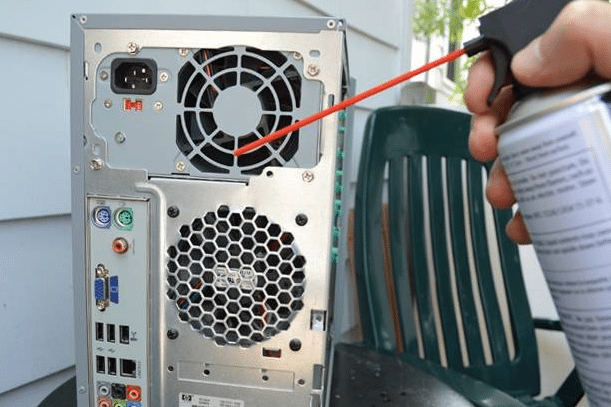 If the computer opens, but it won’t log into Windows, we can push the drive’s cable to make sure it’s in place. 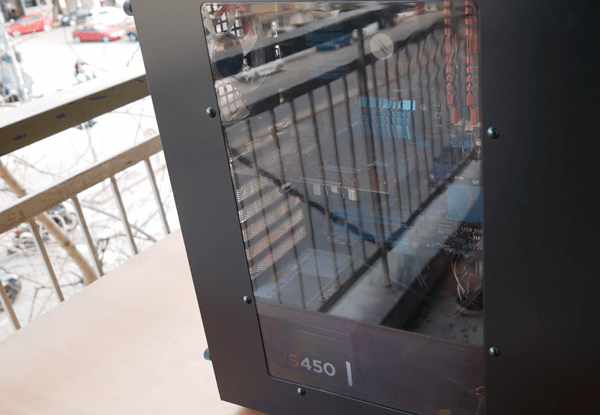 When everything is okay, we place the side panel on our case, and we’re ready to go. 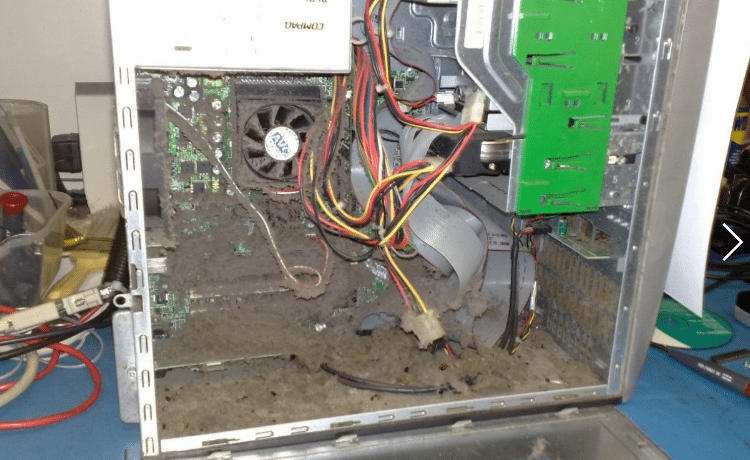 Until the self-cleaning cases are invented, we will have to clean our computer manually. 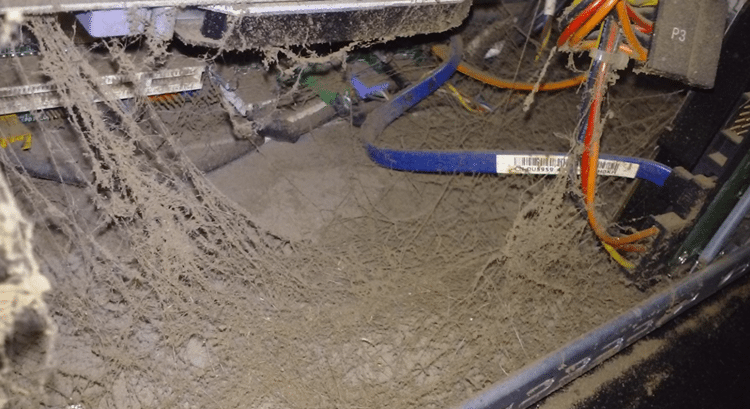 Was it easy for you to remove the dust from your computer? What’s the strangest thing you’ve ever found in your case? Feel free to write us your horror stories and leave a comment below.